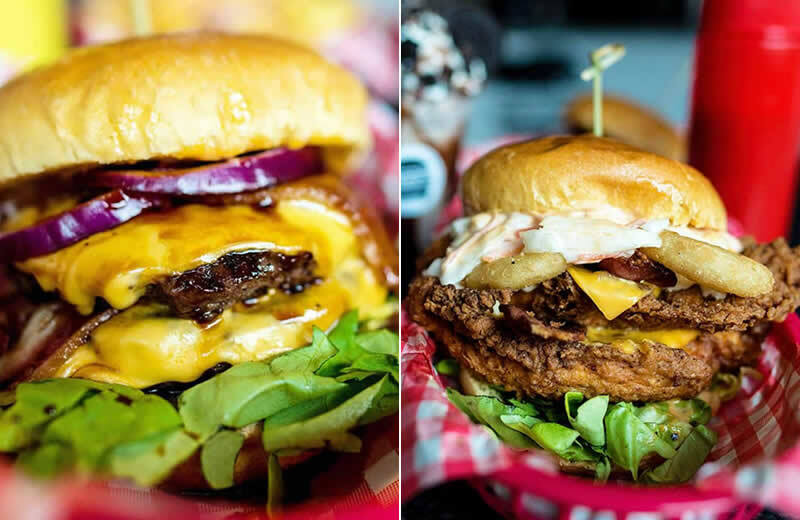 Bringing American-style burgers to the suburbs of Salford, That Burger Place likes their patties double stacked and fully loaded. Want your burger topped with mac ‘n’ cheese? You got it. Fancy spicing things up with hot sauce and deep-fried jalapenos? No problem! Pro tip: Order some Big Bob’s sauce for your fries – it’s made in-house and totally addictive. 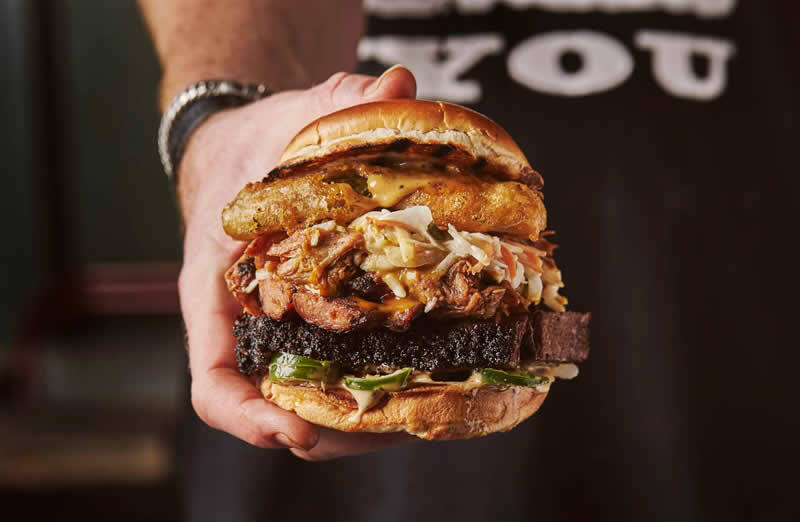 Roll up your sleeves and bring your appetite – this burger joint is not for the faint of heart. There are nine burgers to choose from, each messier than the last, plus extras like crack wings, mac balls, and chilli cheese tots. 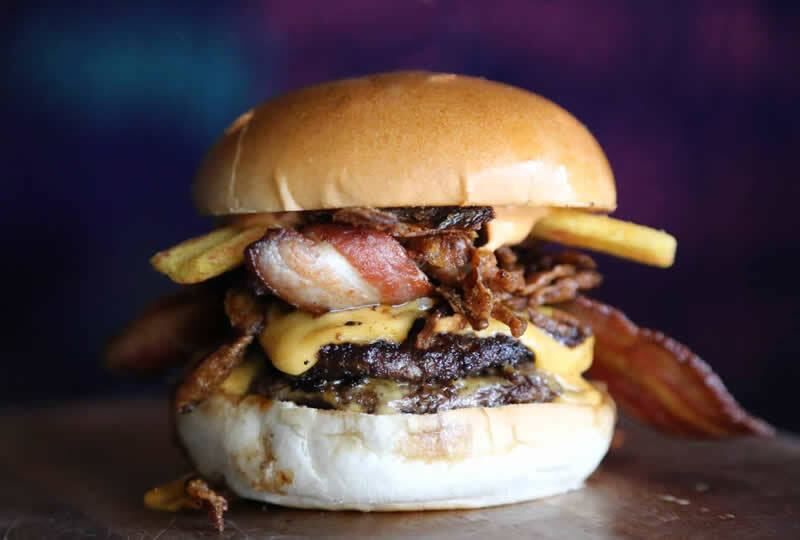 Purists may scoff but the River Phoenix burger – topped with frazzles, chilli and bacon mayo – is a must order. Former teacher Alex Applegarth ditched the classroom for the thrill of the grill and now spends his days slinging burgers at Joshua Brooks. He’s constantly experimenting so there’s always something new to try. We’ve got a soft spot for the Lethal Drizzle – a mustard-fried patty with caramelised onions and gravy for dipping or pouring. Messy, but worth it. 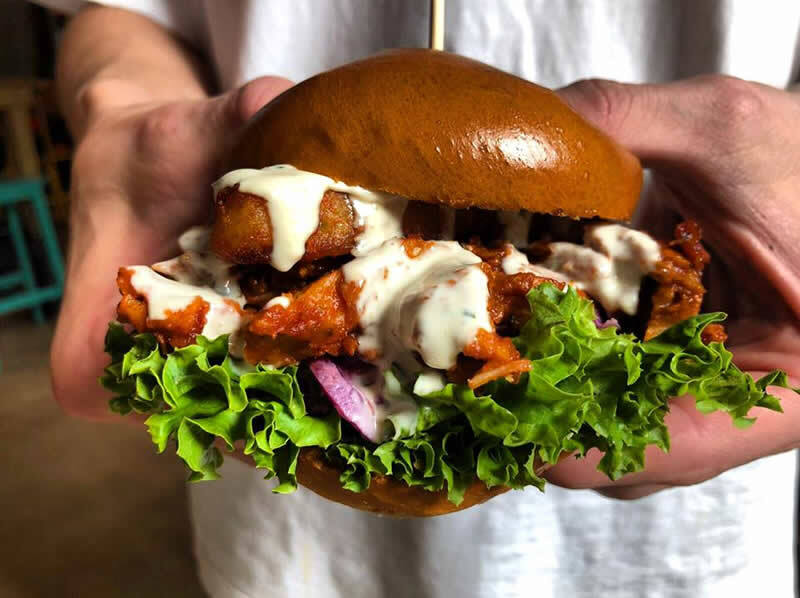 Proving that burgers aren’t all about beef, Yard & Coop serves some of the best fried chicken burgers in town. Keep it simple with a Basic Chick or try the Parma Bird – buttermilk fried chicken wrapped in Parma ham with tomato sauce, Parmesan, rocket, tomato and mayo. If you’re dining in a group, be sure to get some dirty bird fries and IPA onion rings for the table. Bringing Californian-style Mexican food to the Northern Quarter, this all-day eatery is best known for its nachos and tacos. 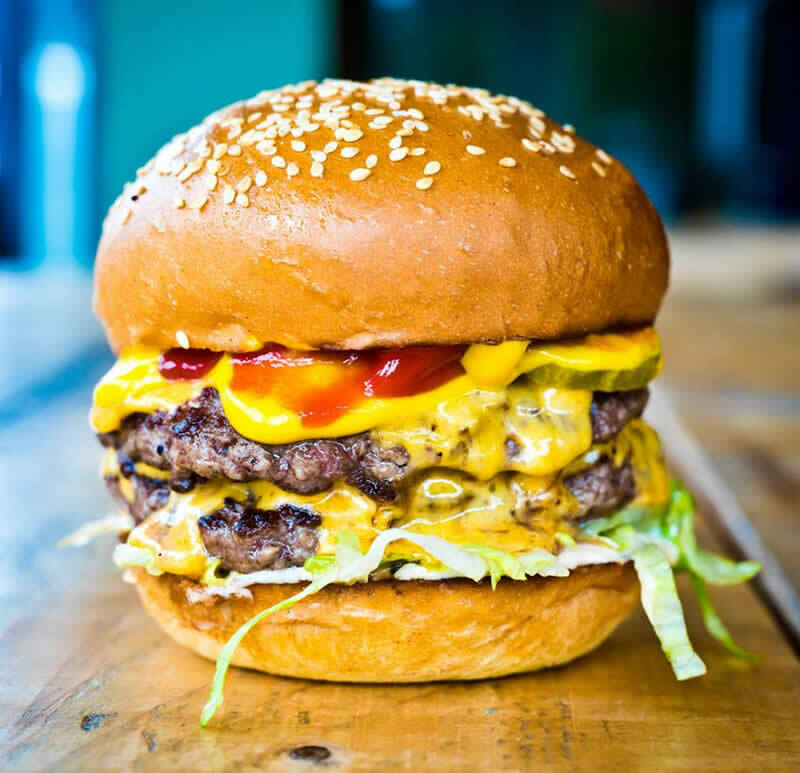 It’s run by the team behind Almost Famous, so it’s no surprise to find three bangin’ burgers on the menu as well. Try the Rodeo – a double cheeseburger with shredded chipotle beef, famous sauce, chipotle BBQ, onion and pickles. Burger joint it is not, but we couldn’t leave Manchester’s top steakhouse off our list. 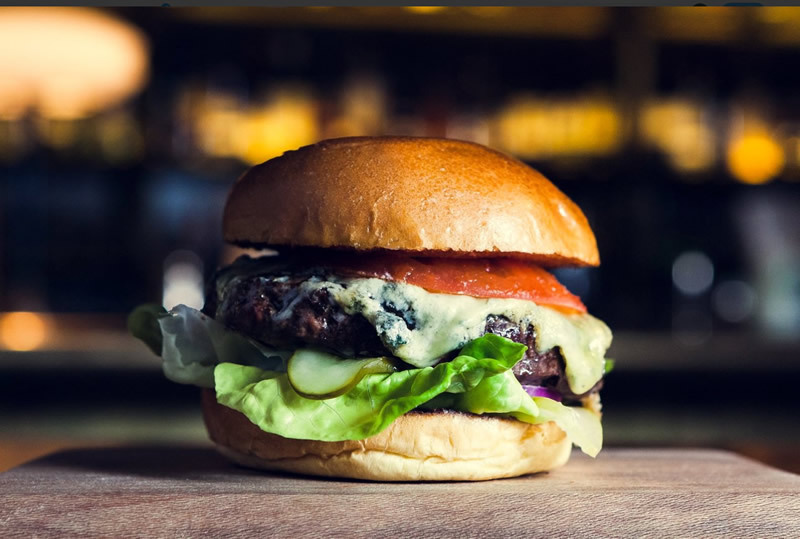 Their classic Hawksmoor burger, made with grass-fed beef and bone marrow, is a thing of beauty – get it topped with Ogleshield cheese or add short rib for an extra quid. If you’re dining in the bar, try their famous Kimchi Burger or the Big Matt, an homage to the fast food favourite. 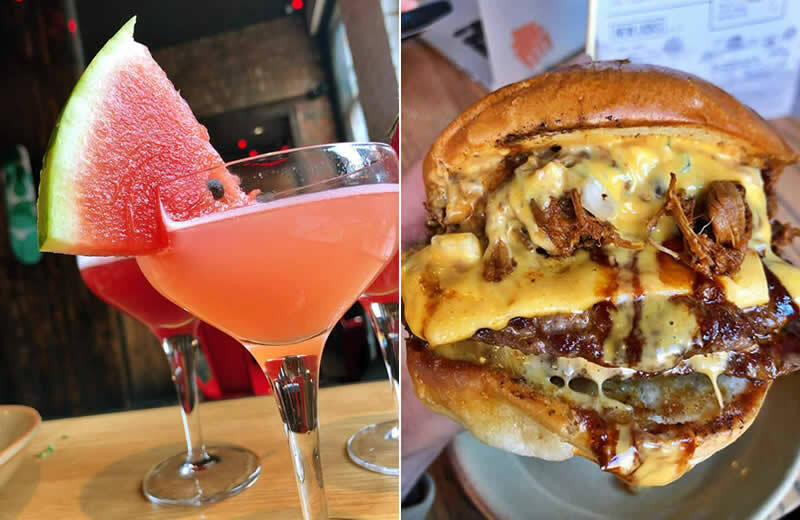 This pop-up turned permanent has brought burgers, booze and good times to the Trafford town of Urmston. 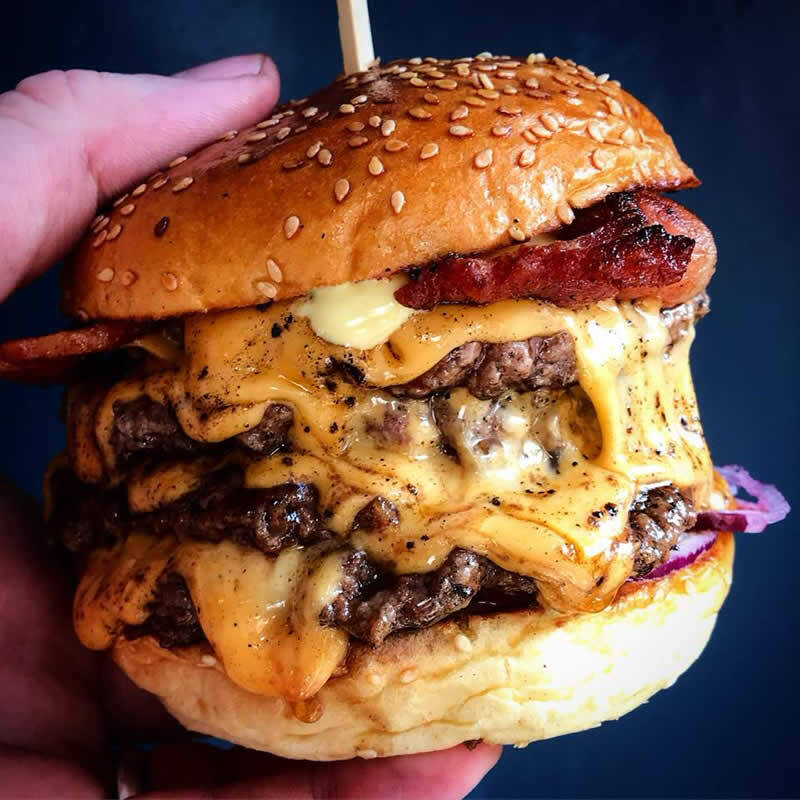 Burgers come double stacked as standard, and you can go wild and add extra cheese, bacon, and Holy F*ck sauce if you’re feeling brave. A new menu is on the way but we’re confident their classic Chuck ‘n’ Cheese will make the cut. Home Sweet Home’s all-American comfort is guaranteed to lift your spirits, heal your hangover, and mend your broken heart. 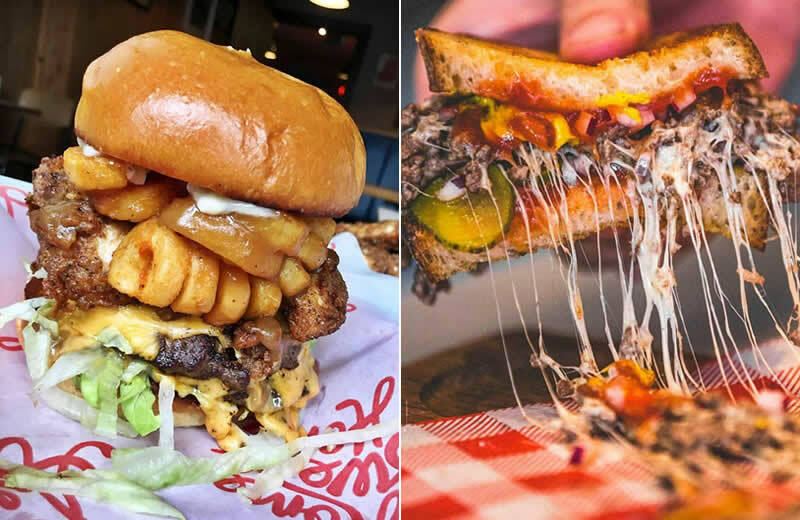 Alongside fried chicken and Tijuana nachos, there are four burgers and a cheeseburger toastie to choose from. The Home Sweet Home Comforts burgers comes with fried chicken and curly fries inside – who could resist? Have we missed any? 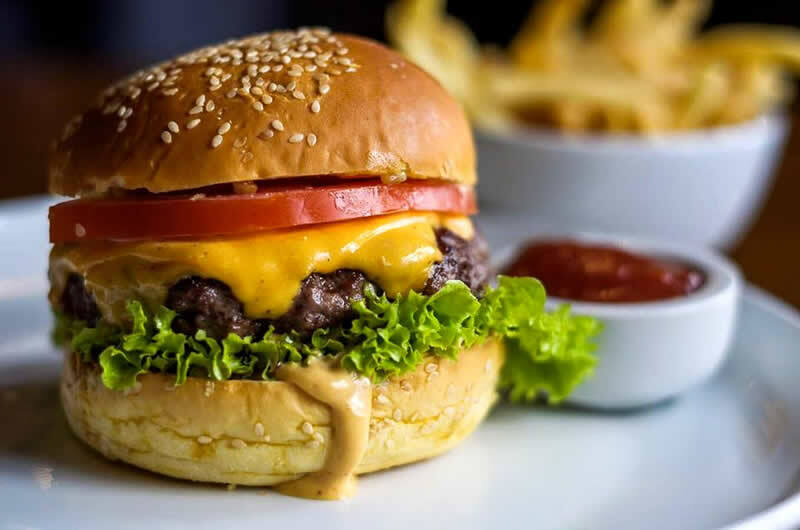 Let us know about your favourite Manchester burger joints in the comments.